Good Stuff NW: This Cute Dude Says Happy Halloween! Couldn't resist the sweet smile and the twinkly eyes on this fellow as I passed by on my morning walk. 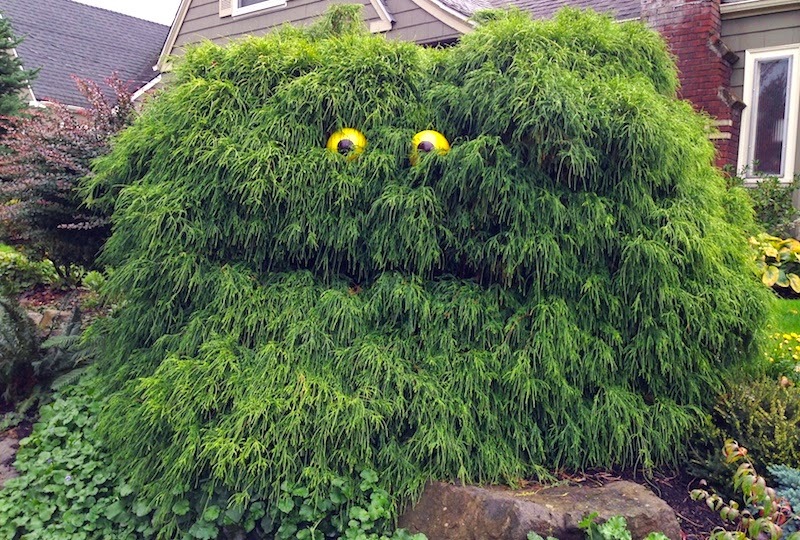 Perhaps a rock-dwelling cousin of Oscar the Grouch?